Dinner last night was at Caramba's on Middle Street. The food last night was REALLY good. 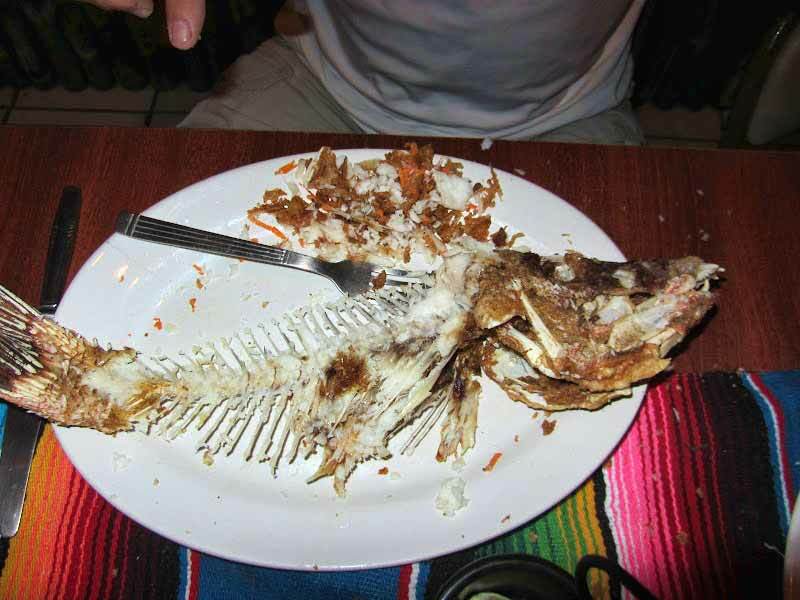 I am totally hooked on whole fried fish and a friend told me tht Caramba's does it right. We arrived early...but the place started to fill up quickly. It seems like a good spot for large groups. Once inside, whole fried fish were ordered and the waiter brought out the fish so we could pick. Into the fryer hogfish. Sorry my bottom dwelling buddy. Caramba's brought a bit of complimentary conch ceviche to start the meal. My favorite. Mmmmmm...just enough meat and tons of crisp. A face only a mother could love. This fish has some serious fangs. I'll be back to Caramba's. 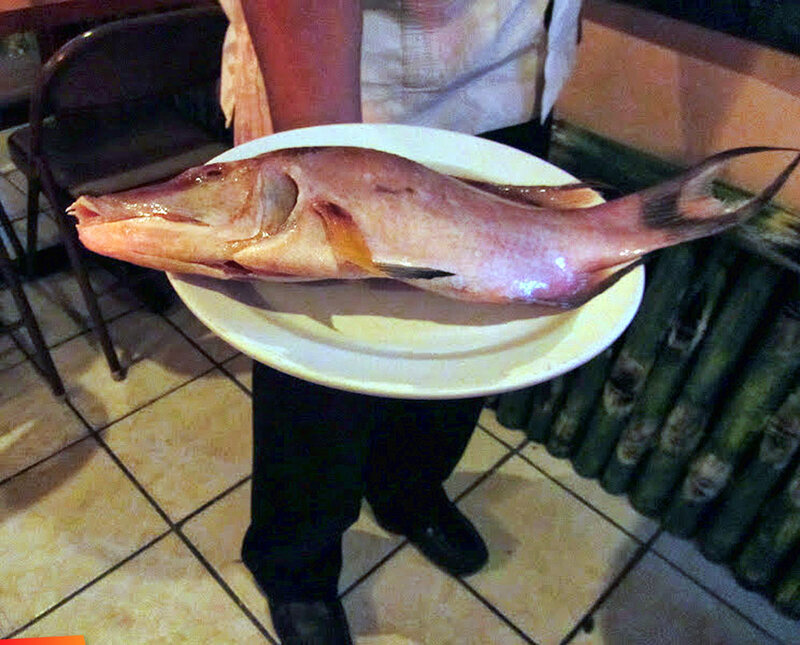 The menu is mostly seafood, simply prepared, and if all of the food is as good as this fish was? We should all be back every night.